If you think about some of the biggest names in the American (as well as global) technology sector over the last 30 years – Allen, Gates, Grove, Hewlett, Moore and Packard – you’ll notice that many have parlayed their business acumen and professional success (and wealth) to become great philanthropists. By providing leadership, and certainly seed money (or directly underwriting a majority of the initial funding), these professionals founded non-profit foundations to provide resources in areas of their interest and where they felt attention was lacking. Most philanthropists begin their philanthropic endeavors in the waning years of their careers. John Wood, however, didn’t wait that long. As an up-and-coming marketing executive for Microsoft in the early years of the company’s booming growth, Wood was on the rise as a key commercial leader for Microsoft as it expanded in the Pacific region. 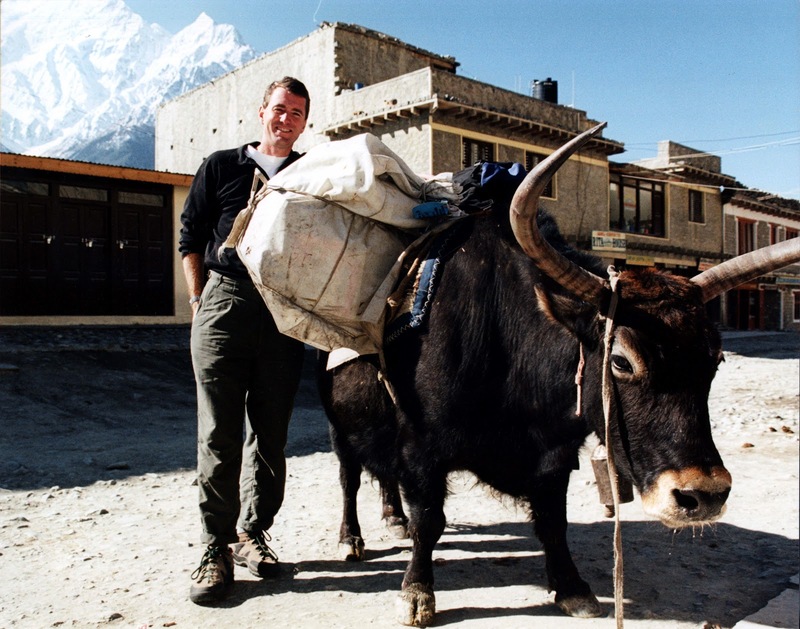 During and in the wake of a trekking vacation in the Nepalese Himalaya, he identified two key factors that would change his life: There was a dramatic and urgent need for education that was going unaddressed in places like Nepal, and he wanted to do more with his life than sell software. That was in 2000. Twelve years later, the organization he founded as result of this twin epiphanies, Room to Read (RTR), has opened 1,556 schools and 13,152 libraries; published 707 books and distributed 11.3 million more; benefited six million children, including 15,388 girls that have participated in educational programs specifically for them (these statistics are updated quarterly and found both in John Wood’s email signature and on RTR’s website). These successes have taken place in Nepal, Bangladesh, Cambodia, India, South Africa, Sri Lanka, Vietnam, Tanzania and Zambia. Not resting on its laurels, RTR aims to extend its reach, improving literacy for 10 million children by 2015. First off, I was pleasantly surprised about your earliest efforts with your father, his membership in his local Lions’ Club, and how that channel helped with the initial shipment of books via the Lions Club in Kathmandu. Has RTR maintained a connection with the Club in Kathmandu? Given core themes of “co-investment”, sustainability and community involvement, one would think these are good channels for long-term support. Yes, we have remained in contact with the Lions’ Club and many [Lions’] members in Nepal have become RTR volunteers. Being a Lion myself, it was no surprise that the network had been helpful to the cause of this fledgling effort, but good to hear about Lions’ in action all the same! What is RTR’s approach to interacting with the Governments in the countries in which you operate? Do you have partnerships? What have been the challenges? And what strategies do you employ to deal with what’s often a thick web of bureaucracy? We act as a non-governmental charitable organization. Because we work in public schools, we partner with Governments to implement our educational projects, but we are not involved in the politics of these Governments. After creating and testing our approach to education in Nepal, we began to identify other countries in the world that faced similar educational challenges and for which our programs are well-suited to address. Together with our partners in the field, we work closely with local and national Governments to help shape educational policy. For example, recently, RTR successfully lobbied Cambodia’s Ministry of Education to adopt nationwide school library standards that included minimum material criteria and increased salaries for librarians. We balance indicators of a country’s need for our programs (such as high rates of poverty, high inequality and low literacy) with a gauge of a basic threshold level of peace and stability that are necessary for us to effectively conduct our work. Additionally, we prioritize countries where the Governments have demonstrated a commitment to education so that we can help support and augment their positive efforts. We then supplement our high-level analysis with on-the-ground research and conversations, networking with other organizations, and meetings with in-country officials to determine our final country selections. The core of volunteerism to keep RTR running is the people network. Can you share how you and your management team keep volunteers motivated? Our chapter network, the enlistment of 10,000 volunteers in 59 cities who are committed to fundraising and raising awareness about RTR, helps ensure we use every dollar contributed as efficiently as possible. Many of our chapter members are seasoned business professionals who have read my book, “Leaving Microsoft to Change the World”, and looking to find a way to pay it forward and give back. We continue to be thankful for their tireless support and contributions, and view this network as an extension of the RTR staff. I have made a habit of sending what I call, “glory mails”, to praise and give timely and public thank-yous to volunteers that have achieved a victory for RTR. Each year, we gather our chapter leaders for a Chapter Leadership Conference, providing a retreat for these members of the RTR family to be updated on our programs, messaging, organizational growth, fundraising strategies and share best practices among their fellow chapter members. I’d encourage your readers to get involved, starting with checking out our chapters’ network www.roomtoread.org/chapters and my book www.leavingmicrosoftbook.com/. You can also check out the organization via Facebook: www.facebook.com/roomtoread. Last year, RTR celebrated the 10,000th library opening in the place where RTR began, Nepal. How does RTR manage the many stakeholders engaged in the 10 countries to maintain not only the brick and mortar of the buildings, but also the management, volunteers and personnel? RTR feels it is important that communities have complete ownership of the schools and libraries, and we have a strict selection process to ensure that schools are likely to maintain the facilities and sustain them on their own. We work with schools for three years to help train librarians and support the infrastructure. We implement libraries in schools that have committed school management, ensure that there will be a library period, and support having a librarian in the library. Anecdotal evidence indicates that our schools and libraries continue to be used beyond our funding period, sometimes with additional support from the communities themselves. We are now conducting a study to examine what happens to RTR libraries when our three-year funding period ends. You spend 300 days a year on the road and you’ve been at it with RTR for more than 10 years now, doing what you love. You shared some personal reflection in the “Life’s a Mess” chapter in your book. So, how have you changed to stay fresh, passionate and let’s not forget, take care of yourself? Running a global organization requires an incredible time commitment, with management responsibilities piled atop a frantic travel schedule. I work more today than I ever did at Microsoft; I fly 150,000 miles a year. At the same time, I receive much more fulfillment from my work. Being in a rural village on the day the parents, elders, students and teachers come together to celebrate the opening of a library or school; I don’t think anything could be closer to Nirvana for me. Exercise plays a critical role in my wellness routine, whether I’m in Tokyo, London or San Francisco, I schedule time for running and exercise. What are your top three cities/routes to run around the world? Running is a key part of my routine in any time zone. When I’m home in New York, I love to run along the Hudson River Greenway with a view of the Statue of Liberty. In Tokyo, I run by the Imperial Palace and in Hong Kong, I enjoy trail running (especially with Martin Cubbon, CEO of Swire Properties, who is a great tour guide!). All of these running sites are equally inspiring and provide a great atmosphere to reflect on next steps for RTR. Can you share what your management style is? I lead by example and strive to be proactive and productive – always getting things done. I believe that those that join RTR appreciate my work ethic and are inspired to emulate it. [WRITER’S NOTE: As noted earlier, passion is another characteristic that Wood stresses as key to sustained effort, long-term success, and work satisfaction. “Passion for the mission”, as he puts it. This feeling translates to employees that care deeply about every facet of the organization’s operations, and thus immerse themselves in the details to accomplish the established goals. Coupled with the passion to achieve results, Wood also shared another key trait he adopted from his time at Microsoft and committed to instilling in RTR from the beginning: loyalty. What is RTR’s strategy on social media? When RTR first began our social media odyssey, our first stop was Twitter, as it had selected us as its first Corporate Social Innovation partner in 2009. Since then, it’s become the cornerstone of our larger social media strategy, which includes Facebook, YouTube and LinkedIn. We also host the RTR blog (http://blog.roomtoread.org/). Social media has allowed us to deepen engagement with current supporters by making it easier to share stories of impact and organizational “wins” in real-time, but it’s also helped us to connect with like-minded individuals around the world that may have never heard of RTR before. We are proud to have been named one of the top 20 non-profits on Twitter and have amassed over 560,000 followers. 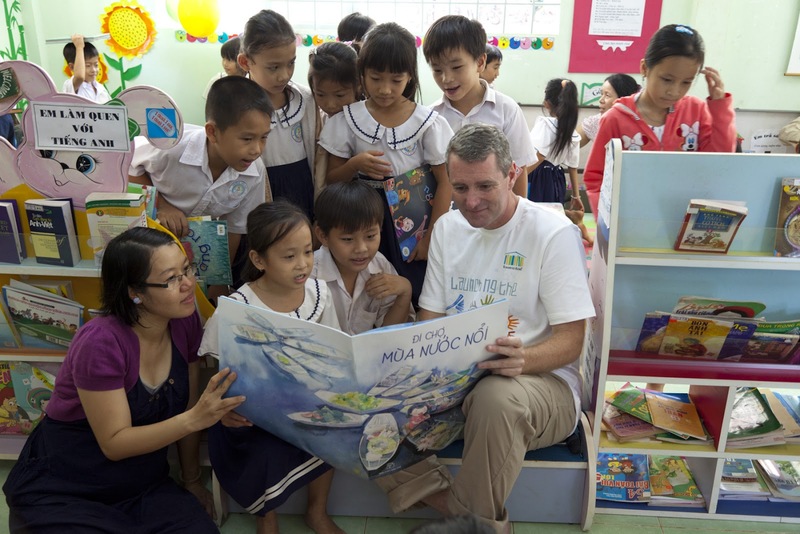 One innovative use of social media has been our International Literacy Day Twitter campaign in September. The campaign’s goal is to give the twittersphere a glimpse of what the world looks like to the 793 million people worldwide who cannot read or write. In order to do that, we began circulating an “illiterate” tweet the week of International Literacy Day with the hashtag #RTforLiteracy, and an embedded link that allows readers to view the unscrambled message on our website. We have had a corporate sponsor in the past donate US$1 for every tweet or retweet that includes the hashtag and have raised substantial funds to support our programs. 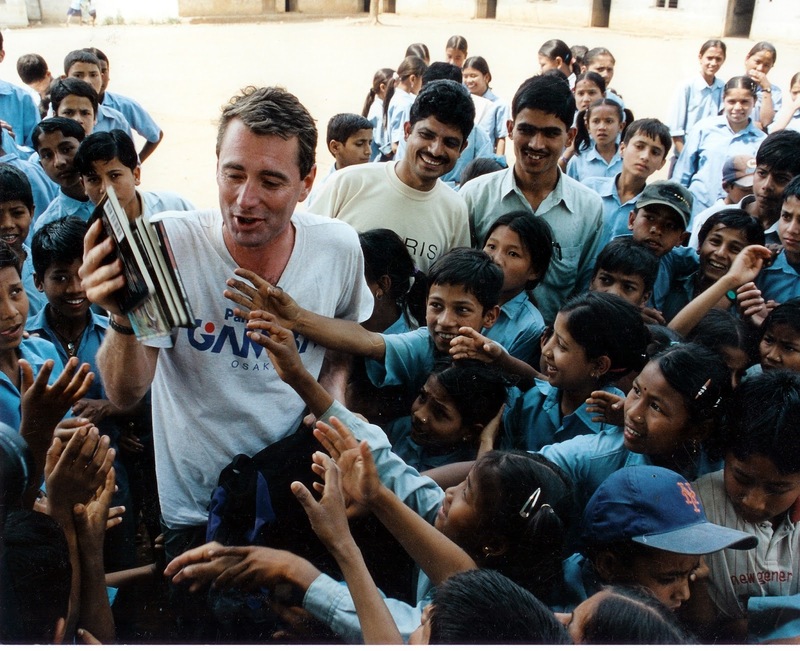 We’re always looking to engage with more supporters, so follow @RoomtoRead, @johnwoodRTR and @ZakNepal! [WRITER’S NOTE: RTR’s Facebook page has had nearly 25,000 hits (“Likes” in the FB vernacular), the organization’s YouTube channel has 49 videos posted, and their LinkedIn page has nearly 2,000 followers. If you could change anything over the last 10 years of RTR, what would it be? I am not sure that I will ever be certain that my impact has been significant enough. We’ve reached over six million students thus far, but that is just the tip of the iceberg when you consider that there are nearly 800 million people in the world today lacking basic literacy. In the early days of RTR, we should have hired more people, more quickly, though that is tough when you have no endowment and no budget at the beginning. We also should have started local language publishing projects earlier. There are millions of villages that would love to work with us. To reach them, we need a lot of capital. We have the model, we have the people, we just need capital. That sounds simplistic, but just because it’s simple does not mean that it’s not true. If we had the capital, we could build a lot more schools, establish more libraries and endow more long-term girls scholarships. Name three people you emulate and why? My role model in philanthropy is definitely Andrew Carnegie. Carnegie used his good fortune to create a network of libraries that has impacted countless lives across several generations. We are building a similar, larger network clear across the developing world. Carnegie did just under 3,000. We are over five times that number and counting. I’m also a big fan of Paul Farmer, the founder of Partners in Health. I have not met him, but after twice reading “Mountains Beyond Mountains”, he’s become one of my heroes. Finally, I admire Sandor Teszler, a great mobilizer of social change in whose honor I recently received an award at Wofford College. Teszler, an immigrant who escaped a death camp during WWII, was one of the first in the textile industry to desegregate mills in the US. Late in life, he attended college and his passion for education established his legacy in academia. What succession plan do you have (if any), for RTR’s leadership to remain strong and stable, long into the future? In 2009, I transitioned from CEO and stepped up into a new role as co-chair of RTR’s board of directors. This decision was a mark of strength and confidence in the leadership within the organization. Erin Ganju, co-founder and former chief operating officer, seamlessly assumed the role of CEO and has been successfully overseeing the day-to-day operations of RTR and expanding our reach. I believe the sign of a good founder is to get out of the way when the organization has grown to a certain point in its evolution. The management restructuring has accelerated RTR’s growth and global expansion to fulfill our promise of educating millions of the world’s children. I now focus all of my efforts on traveling around the world to raise awareness and funds for RTR, long-term strategy, global board development, and public speaking. Due to this succession plan, I have been able to build new regional and advisory boards around the world – in the UK, New York, Australia and Asia-Pacific – to augment RTR’s trajectory. (WRITER’S NOTE: After concluding the virtual interview with Wood, I came away with a few fundamental values that define who he is: Keep your commitments, be creative and maintain a positive attitude towards making a difference in the world, and think big along the way. These maxims can surely carry the day if we let them do so. You would be hard-pressed to find two countries seemingly more dissimilar than Haiti – small, impoverished nation located in the Caribbean Sea – and Russia – former 19th–century empire and Cold War adversary to the US, and recent heavy-hitter in the energy sector. However, these two countries have at least one characteristic in common: Both have impoverished people who have been woefully under-served when it comes to healthcare. 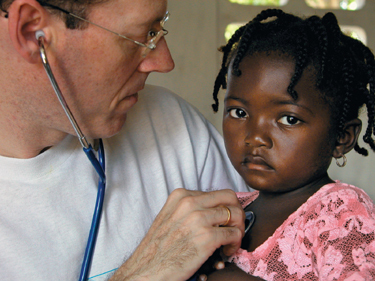 Among the people who have answered the call to help those in need in both countries is one man, Dr Paul Farmer, and his organization, Partners In Health (PIH). Dr Farmer was the subject of Tracy Kidder’s novel: “Mountains Beyond Mountains”. Together, Dr Farmer and PIH passionately pursue the dual goals of providing healthcare to the poor and teaching communities how to help themselves out of poverty. It all started with one man’s vision in the 1980s, and his awareness of the extreme poverty and corresponding healthcare needs of the poor in Haiti. In the poorest nation in the Western hemisphere, the humble efforts of a few has grown into one of the best models for delivering healthcare and helping low-income communities develop services to continue that care in the long term. His work in the Central Plateau provided the impetus for founding the not-for-profit organization PIH in 1987 with a few other committed partners soon after graduating from medical school with a focus on infectious diseases and medical anthropology. The group defined their mission clearly and succinctly. As the organization’s tagline declares, their efforts would be toward “providing a preferential option for the poor in healthcare”. In addition to Haiti – and at the urging of longtime supporter Father Jack Roussin – PIH expanded its efforts to tend to the long-ignored needs of the poor residents in Carabayllo, a shantytown district near Lima, Peru. It was here that PIH first encountered tuberculosis (TB) and drug-resistant tuberculosis (MDR-TB). It would be this specific work with TB and MDR-TB that would lead to PIH extending its reach far beyond the Western hemisphere to Russian Siberia a few years later. PIH entered Russia in 1998 when they identified the opportunity for research and treatment of MDR-TB in that country. As Dr Farmer explained, “We went back to [the Gates Foundation who had provided grant funding for other projects] and said, ‘Look, you know, there’s a very big problem [with MDR-TB] in Russia as well’,” asking for their support. As result, the grant that provided funds for efforts in Peru was reworked to provide services in Russia. PIH initially had a narrow medical focus – but vastly wider geographic focus – in Russia than any of its other projects. From a base in the region of Tomsk Oblast, Siberia, PIH began collaborating with the Russian Ministry of Health to combat one of the world’s worst epidemics of MDR-TB. In partnership with the Division of Social Medicine and Health Inequalities (DSMHI) at the Brigham and Women’s Hospital in the US, PIH focused on improving clinical services for MDR-TB patients in Tomsk while undertaking training and research to catalyze change in the treatment of MDR-TB across the entire Russian Federation. No small endeavor! These joint efforts got a major boost in 2004, when PIH and DSMHI helped their partners in Tomsk secure a five-year US$10.8-million grant from the Global Fund to Fight AIDS, Tuberculosis and Malaria for efforts to improve prevention, diagnosis, as well as treatment of TB and MDR-TB. Key components of PIH’s clinical efforts include improving diagnostics in order to detect cases earlier, developing a comprehensive strategy to promote adherence among patients, improving infection control in hospitals and clinics, and decreasing transmission of TB to HIV-positive patients. PIH’s work in Tomsk also encompasses health education for the public, as well as clinical and program management training for medical personnel. In 2006, PIH launched Project Sputnik, an outreach program to improve the reach and consistency of care needed with MDR-TB patients who were either not receiving care or, more likely, had refused treatment in the past. PIH Russia also supervises a treatment program that targets prison colonies in the region specifically intended for inmates with TB. Such population-specific focus and response with needed resources are making a difference to reduce the spread of the disease as well. PIH’s positive effect has indeed spread beyond the Tomsk Oblast. As reported recently by Natasha Arlyapova, PIH-Russia’s summer program for young scientists (a program that is now in its fourth year) is helping set a new standard in public healthcare throughout Russia. What started as a fight against a deadly epidemic has grown into helping one of the world’s largest countries improve the quality of life via better care for its people. TB bacilli (but who are not infected with HIV) become sick or infectious at some time during their life. People with HIV and TB infection are much more likely to develop TB. WHO estimates that the largest number of new TB cases in 2008 occurred in the Southeast Asia region, which accounted for 35 percent of incident cases globally. However, the estimated incidence rate in sub-Saharan Africa is nearly twice that of the Southeast Asia region with over 350 cases per 100,000 population. An estimated 1.7 million people died from TB in 2009. The highest number of deaths was in the Africa region. In 2008, the estimated per capita TB incidence was stable or falling in all six WHO regions (Africa, the Americas, Eastern Mediterranean, Europe, Southeast Asia and Western Pacific). However, the slow decline in incidence rates per capita is offset by population growth. Consequently, the number of new cases arising each year is still increasing globally in the WHO regions of Africa, the Eastern Mediterranean and Southeast Asia. Everything starts from within the individual: an idea, a few words, an action, a situation that requires a response, something creates the spark. A good attitude provides the foundation for everything that follows. But a good attitude not only means energizing oneself. From that starting place, we then having the spirit to take the step toward creating more good. So Good Attitude results in Good Actions. Good begets more good. Word gets out. Here’s an example. A few years back I reconnected with a work colleague I’d known when we both worked for the same major, multinational corporation a long while back. At the time he was running a multifaceted social enterprise called “Humaneity“. One of ventures within the enterprise was a periodic publication, Humaneity Magazine. My friend from Humaneity invited me to do some writing for the magazine, and I jumped at the chance. Writing for the magazine was great fun. I had a fantastic experience creating content for the periodical and it spurred me forward to see my name on the byline of published work. Some of the pieces I created were based on research alone, but I also had the good fortune of interviewing some of my “subjects.” I even wrote the feature for one of the magazine issues. Unfortunately, the magazine eventually ended up closing shop for lack of key fiscal support it had received. I look back on that time with nothing but a good attitude though: I learned a lot, met some great people, and was thankful for the opportunity. Well, this week, Humaneity came calling again. It seems my old friend has decided to kick-start the magazine, and asked me if I’d be interested in getting on board once again and do some writing for the new magazine. I’m pretty excited about the prospect of working with this innovative and energized team a second time around. I’m pretty excited about spreading more good through the many stories that are out there about people making a positive difference for each other. As a primer for the new magazine project, I’ll be sharing the stories I wrote for Humaneity on this blog over the next several posts. Stay tuned. It’s all GOOD.